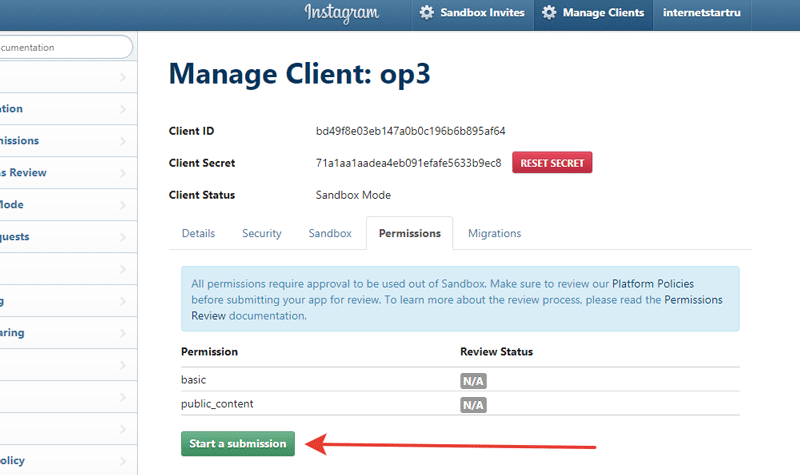 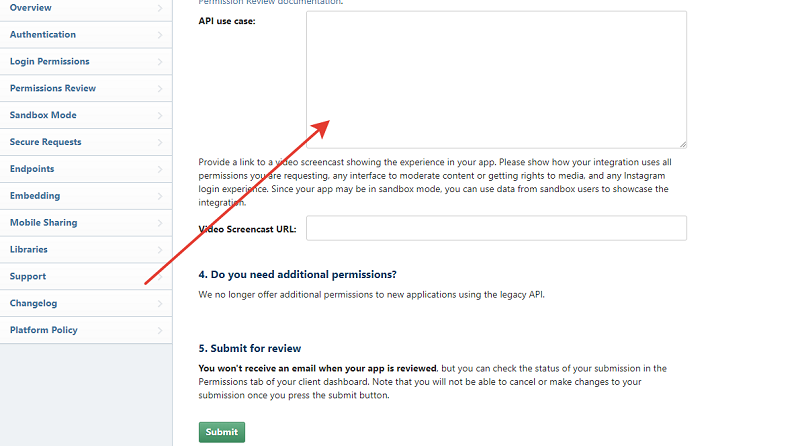 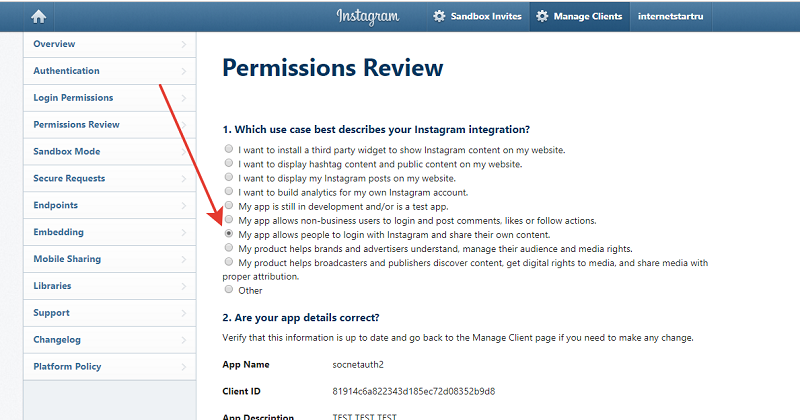 Нажмите на кнопку "Start a submission"
This App will use Instagram OAuth authorization. 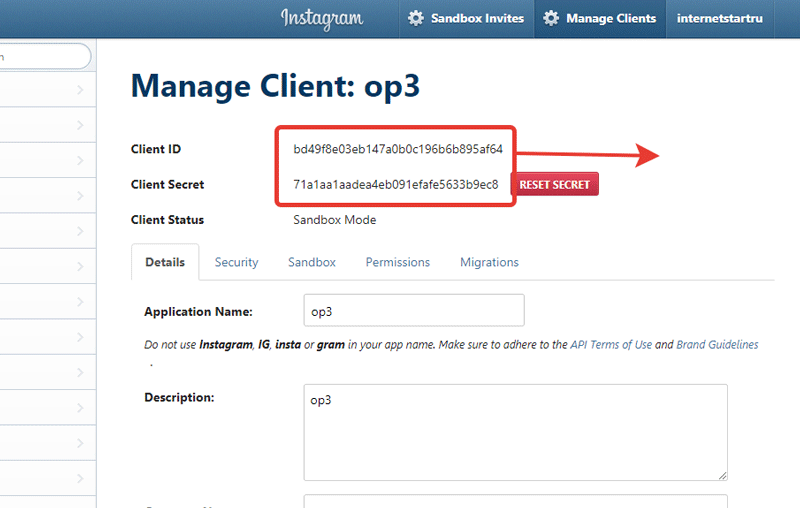 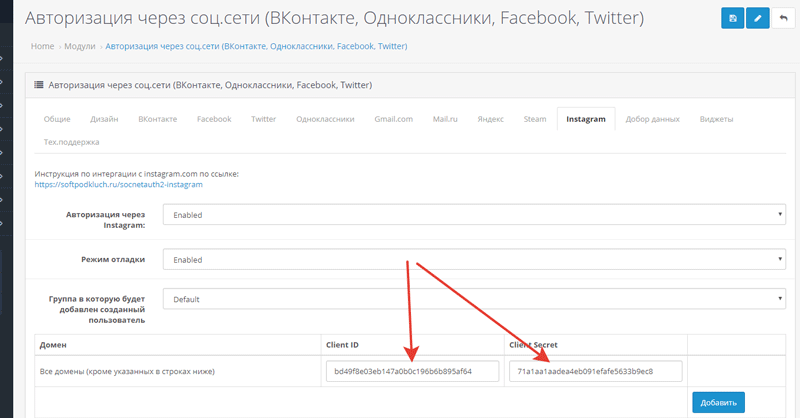 Using this app my customers can make fast Instagram authorization on my eCommerce website [ССЫЛКА НА ВАШ САЙТ]. 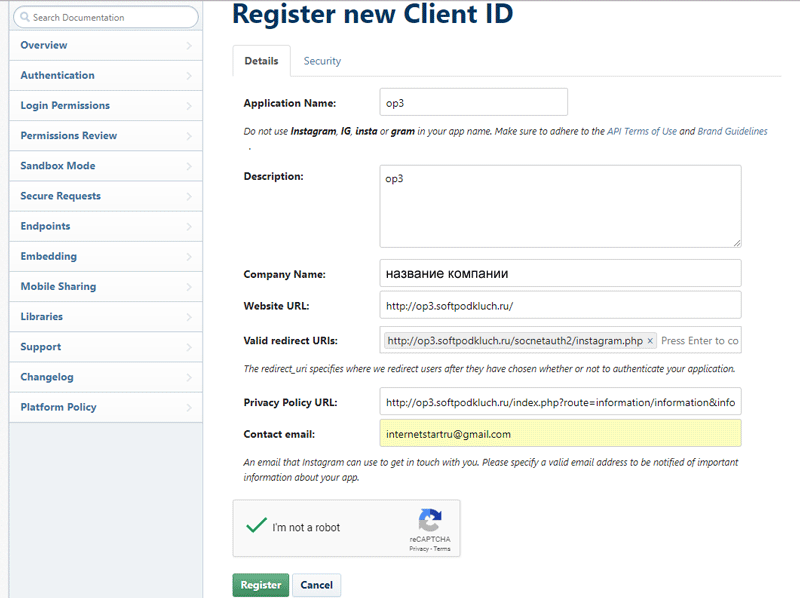 Customer redirected back to my site registered and authorized in his account.